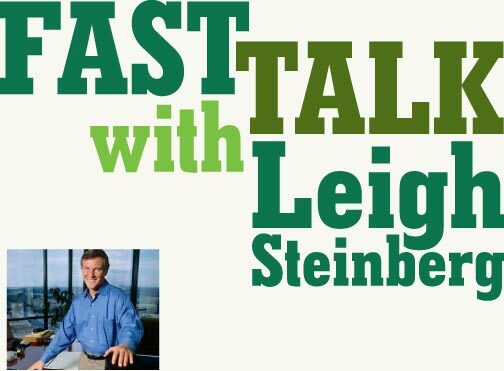 Leigh Steinberg altered the landscape of sports as the first super-agent. He has represented over 150 professional athletes, including the number one NFL draft choice, eight times. 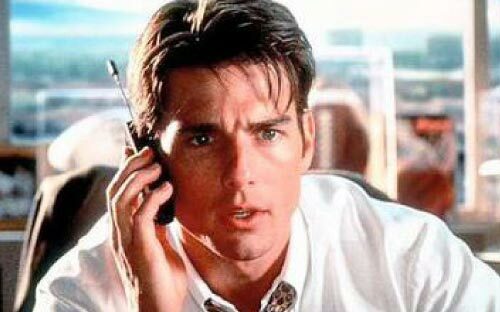 The movie ‘Jerry Maguire’ was loosely modeled after Steinberg. California Conversations (CC): Was being a sports agent your first career choice? I graduated from law school in January of 1974, took the State Bar and, when I found out I passed, I headed for Europe. I got to Egypt. I was in a sailboat and jumped into the Nile. I ended up very sick and in a hospital in London. I lost a ton of weight and I could not take any job offers. I was sick through early 1975. I had been a counselor in an undergrad dorm at Berkeley and they moved the freshmen football team into the dorm. Steve Bartkowski was one of the students. In 1975, he was the first pick in the first round of the NFL draft with the Atlanta Falcons. In March of 1975, he asked me to represent him. I had the first pick in the NFL draft at a time when the World Football League was competing with the NFL. Here was a player at a critical quarterback position, with movie star looks, and we got the largest first contract in National Football League history. Berkeley was laid back in those days when it came to sports, so imagine my surprise when we landed in Atlanta the night prior to the signing and there were klieg lights flashing in the sky like a movie premier. LS:	I saw the tremendous idol worship and veneration for athletes in communities across the country. That’s when the realization came that athletes could make an enormous difference in triggering imitated behavior and being role models if they would retrace their roots to the high school, collegiate and professional community. I could utilize the representation of athletes to make a significant difference in the world. CC:	Is making a difference in the world outside of athletics a serious part of the equation? LS:	Sports is an entertainment business. Athletes have an obligation to serve as role models and to understand that their public behavior will be scrutinized and if they are not interested in graciously signing autographs and forwarding themselves within the standards of responsible public behavior, then they can play on the sandlot. Professional sports are not bread and butter on the table. It’s not transportation. It’s a discretionary, entertainment expenditure. If you force feed fans with an unremitting diet of negative headlines, it pushes them away. I’ve been successful if I’ve been able to stimulate the best values and career arc that fulfills the best hopes and dreams of an athlete. It is not just economics. CC:	The issue of steroids in sports? LS:	I think the American public loves the fall of the high and mighty, but they also have a great capacity for forgiveness. Mark McGwire is, essentially, a sympathetic figure. He’s always been considered a nice guy. He does many acts of kindness off the field. So when an athlete is in crisis and they are willing to come out and state the correct standard of public behavior, then to apologize to his family, relevant constituencies, to the teammates, to the organization, to the fans who admired them and then, if relevant, to affirm that they have taken steps to prevent a reoccurrence, the response is positive. There was one comment McGwire made that was not helpful, which was a statement that the supplement or steroid didn’t enhance his playing ability. The key is to fess up to one’s guilt. If you do that, having taken the steps I just indicated, it’s then possible for the athlete to move on. CC:	The response from an embattled athlete needs to be fast? LS:	Yes. One issue is to not let any time pass. Another issue is to not equivocate. They need to own the behavior and apologize. There is a very powerful celebrity-making machine in this country that focuses on people and their behavior. It’s made up of talk shows, TMZ-type investigative shows, the Internet, blogs, People and US magazines, the National Enquirer. The problem from the standpoint of a celebrity, if a story gets caught up in that machine, is that the average person will see and/or hear that story 20 times a day, over and over again.